It’s not unusual for adult children to become estranged from their parents. Sometimes it’s a psychological and emotional necessity, other times it’s simply the result of unfortunate events or misunderstandings. As the old saying goes, we don’t get to choose our family, and there’s no guarantee we will like each other, particularly as time goes on and we build separate lives. Gina Sorell’s debut novel, Mothers and Other Strangers, explores this fraught territory with compelling results. It is a complex family drama, a dual (and dueling) character study, and a suspenseful mystery all in 300 pages. Elsie is 39 and an ex-dancer living in Los Angeles when she learns that her mother, Rachel, has passed away at home in Toronto. More than just physical distance separates them; they have not spoken in two decades. Rachel, it turns out, is what we used to call “a real piece of work.” She is a mean-spirited narcissist concerned with how she appears to others and following her own spiritual muse around the world. She is not interested in being a mother, even though her husband passed away when Elsie was an infant. So, Elsie grows up seeking her mother’s attention and approval, but receiving little of either, and ultimately doing her best to raise herself. When Elsie returns to Toronto to sort through her mother’s belongings and tie up the loose ends of her life, she finds that little has changed in her apartment in a luxury highrise building, and that her mother did not appear to be the wealthy woman her lifestyle had always suggested she was. What happened in the last 20 years? Did it involve her devoted membership in The Seekers, a “new-agey” spiritual group based in Paris, and her obsession with their charismatic founder, Philippe? When someone breaks into the apartment and turns it upside down looking for something – although it’s clear to Elsie there is nothing of value in the apartment of this elderly woman – she begins to suspect that her mother had led a different life than she’d thought. Elsie’s return to Toronto forces her to examine a past she’d long quarantined, and the structure of Mothers and Other Strangers moves back and forth in time to reveal Elsie’s life, increasing the mystery and tension as the plot progresses. How did a child born in South Africa end up being raised in Canada? What really happened to her father? Why does she have nightmares involving a house fire and a black caretaker? Why did her mother view the Seekers as her family instead of Elsie? Why couldn’t her mother love her? As Elsie peels back the layers of her mother’s life, she confronts her own traumas and the resulting demons that continue to follow her. Little is as it seemed to either the younger Elsie or the divorced adult Elsie. 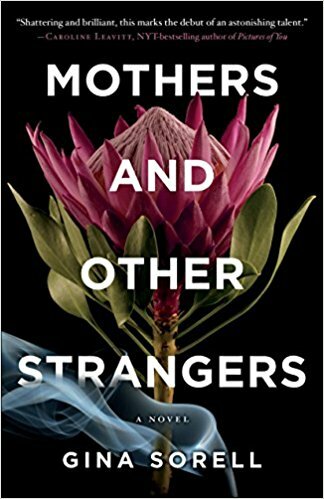 Mothers and Other Strangers could have been written as a straight suspense novel or as a close study of an exceptionally difficult mother-daughter relationship. Instead, Sorrel has combined the two to generally good effect, although it occasionally makes for odd pacing. For example, just as the enigma of Rachel’s life becomes particularly intriguing, we are taken back to Elsie’s teenage years as a gifted dancer who steadily establishes her independence from a mother who is absent physically and emotionally. Both aspects of the story are compelling, but one makes you turn the pages faster, and readers can become greedy about a complex, thought-provoking plot. Wait! What happens next?! Why? How? No! Suffice to say (no spoilers here! ), Elsie moves back through her mother’s life, to Paris and on to South Africa, to discover her many secrets, including the one that had proven the most impervious of all: Why was Rachel the person — and mother — she was? By the end, she has changed from a mystifying and heartbreaking stranger into a flawed young woman fleeing her own tragedies and attempting to build a life for her daughter and herself. Elsie learns, as do we all, that who we are is a direct result of our parents’ character and choices, and that they are, like us, deeply imperfect people.